Batcave Toy Room - Better Living Through Toy Collecting: Will Batman Go the Way of Wonder Woman and The Hulk? Will Batman Go the Way of Wonder Woman and The Hulk? With both The Hulk and Wonder Woman having TV pilots in the works, what will happen to The Dark Knight after the upcoming third Batman film? The next Batman movie: The Dark Knight Rises will undoubtedly be the last film in the series that Christopher Nolan will direct. This will probably also mean that Christian Bale will hang up the cowl as well. So what will become of The Caped Crusader after 2012? Rumor has it hat Warner Bros. wants to bring Batman back to the small screen just as Smallville is coming to a close and a new Superman film is in the works with Christopher Nolan producing. It's interesting to see things come full circle in a way. Originally, the producers of Smallville wanted to do Gotham and do a story about a young Bruce Wayne. The story was changed to base the story on a young Clark Kent after Warner Bros wanted to re-boot the Batman film series. Holy flip flops! 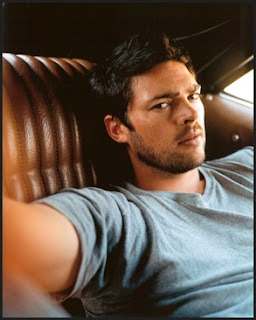 Word is Karl Urban is being looked at to play Bruce Wayne. I thought Urban was great as Dr. McCoy in the new J.J. Abrams Star Trek film, but I am not sure I am sold on this. I think this is more like a case of "Dammit, Jim. I am a doctor, not crime fighter." What do you think of Batman continuing as a TV series rather than a movie series? that would be a lot of fun- i'm certain it would be a hit!